We have plenty of experience in running both Stag and Hen Trips. Understanding the thrill level required will help us to tailor your voyage. With our location in the heart of Cardiff Bay and central to the restaurants and bars, it’s the ideal place to start your Stag and Hen adventure. If you’re planning a big night out, then why not jump on-board the following morning, where the fresh air is forced at you, gets the blood flowing again and clears the head of the antics from the night before! With the ability to carry 12 people per boat we can easily cater for even the larger groups. 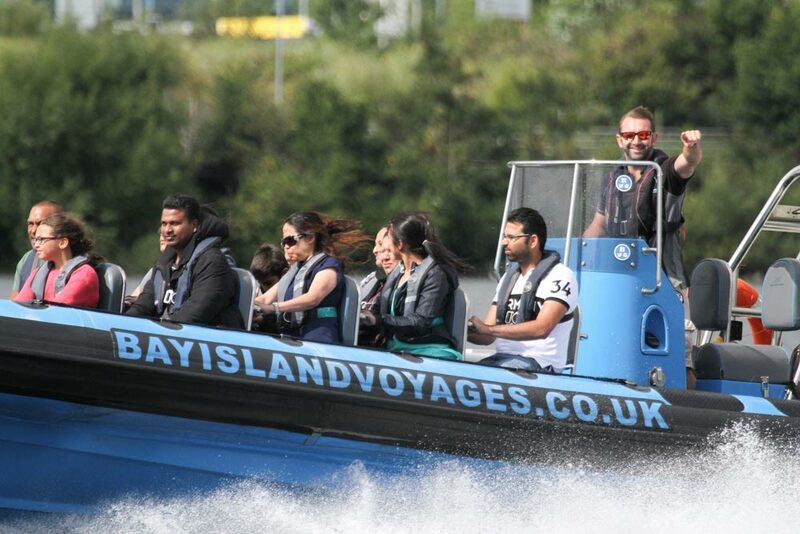 We will take you out of Cardiff Bay and show you the delights of the Bristol Channel. High octane, adrenaline fuelled fun for all. Thinking of heading to Central Cardiff following your trip? Why not let us drop you off directly in the heart of the city saving the extra taxi or bus.